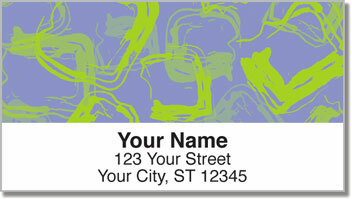 Swirling shapes in striking color combinations create an eye-catching set of return address labels for people with artistic taste. Show off your creative side by making boring brown packages and plain white envelopes pop with personality! Each design features unique shapes in vibrant hues with complementary shades for the background. 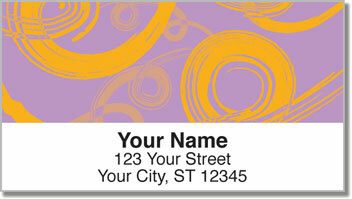 Loop Cube & Ring Address Labels from CheckAdvantage are not only attractive they're also quite convenient. 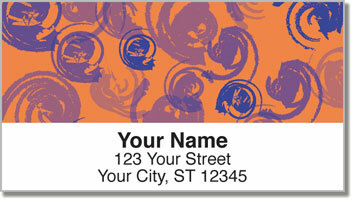 You'll never have to scribble out your name and address on another piece of mail. Thanks to a handy self-adhesive backing, all you'll have to do now is peel and place! 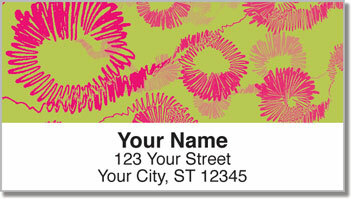 Order your very own Loop Cube & Ring Address Labels today! This stylish selection is also available in matching personal checks!